This is the most important part of you blog post because it’s what your visitors have come for, so if you want them to enjoy it and come back, you need to make sure it’s up to a good standard. Having amazing knowledge is one thing, but if you can’t manage to organize it in a way that is easily understandable to your readers, then it’s completely wasted. Before you even open up your website, you need to get yourself some good fashion pen and paper and start taking notes. 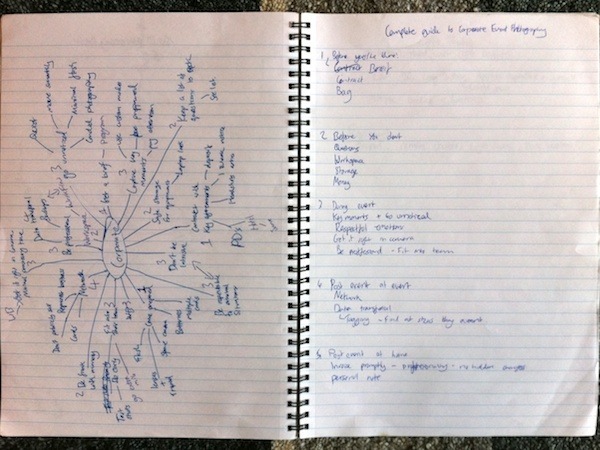 Even if you don’t know the exact title of your post, you should atleast know what it’s going to be about, so put that in a circle in the middle of the page and work out from there with a spider diagram. This may sound like something you’re told in school, but trust me, it really helps to come up with ideas for content. When I’m done, I separate all of these ideas into the categories that I’m going to write them, then I order them, and I’m ready to start writing. This extra step seems like it takes more time, but it will actually end up saving you a lot of time in the long run as you won’t struggle to write. Coming up with good titles was a real struggle for me at times, but with a little bit of experimenting over the past five months, I’ve managed to get pretty good at it. The key is to mirror the style of writing, or to have the writing match your title. 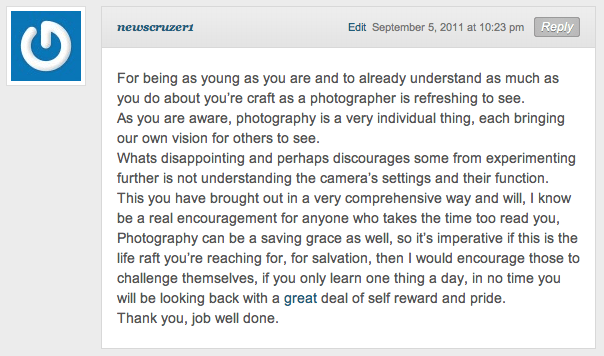 For example, I wrote a post last night for my website on how to critique your own photography, but instead of calling it that, I decided to come up with the top 10 points and call it ’10 Ways To Critique A Photo”. This attracts visitors and they know that when they open the post, they’re going to see a clear and concise list for them to learn from. I will be the first person to admit that I didn’t use to read introductions, because more often than not, all the content that I needed was in the content section and not in the introduction. It became apparent to me that most people don’t read them when I wrote a top list of camera gear linking to one particular brand, using American links. I wrote in the introduction why I was doing this, and I had very legitimate reasons, but I still got loads of people bringing me up on it in the comments, calling me biased. I actually ended up going back and put in bold capital letters “PLEASE READ FIRST” in front of the important part. Nevertheless, introductions are still important as some people do read them, and it helps you to clearly see what you’ve written. I always write introductions when I’m finished writing the post because it makes it much easier to sum up, and makes it easier for me to explain to readers on Facebook and Twitter. There’s a lot of really bad content on the internet and you need to make sure that you’re not a part of that. Whatever I write, I do my best to make sure it’s the best that I can write, and if possible, better than anyone else. If you don’t try to produce the best, then there’s really no reason for anyone to come and visit your small, struggling blog – you need to separate yourself from the competition. The good news is that even the best websites in your niche can have some pretty poor quality content, so doing this isn’t hard. When you’re researching your post, Google the competition and see what they’ve written, and make sure that you’re better than them. Whatever you do, don’t copy what they’ve written, because more often than not, that’s like cheating on a test by stealing your stupid friend’s answers. When you’ve got all of your content down, don’t miss out on the opportunity to encourage you readers to like your fan page on Facebook, follow you on Twitter or subscribe to your RSS feed. If you can get someone to come to your fan page, then you have a really good way of marketing to them in the future. I find that about 15% of my fans on Facebook will click on my links when I post them so by including just a few lines at the end of your post, you have a good chance that they’ll come back again at some point in the future. Even if someone follows me on Twitter, I send them an automated direct message asking them to come to the fan page, so every little helps. Don’t allow your posts to get lost in the mix on the internet – start collecting fans today. My most popular posts (with the exception of top lists) are usually a combination of excellent content and good structure – “5 Steps To Understanding ISO” is much more attractive than “Understanding ISO”. I didn’t start writing that post with this structure in mind, I just had 5 points I wanted to cover and then when I was finished, I went back and added “Step 1” etc to the beginning of each section. It’s a simple trick which manages to convince the reader that it’s going to be easy to read. Over the last month, my 4 of my top 10 most popular post have been a version of a small top list such as “Top 10 Tips To Taking Sharper Photos”. These are popular posts, which contain useful information, but that’s not why I write them. I’d rather write in a different format with the same content, but I know that these get a lot of attention and I can use this to my advantage. I can cross link to loads of other posts by using my keywords, which will encourage the reader to spend longer on my site. This is a key part to the styling of your posts, and believe it or not, it even helps with your SEO. Instead of using bold writing, or changing the size of the font that you’re using, you should use headings instead as it looks better and breaks up your posts in a much easier way. The heading used for ‘Structure & Styling’ is h2 (Heading 2) and the heading just above called ‘Headings’ (confusing, I know) is h3 (Heading 3). This is because I’m currently writing under a subheading of a main heading. You’ll notice that the subheading is smaller, although you can tell that it’s still a heading. There’s also a fair amount of separation between paragraph and heading in this theme, which helps to make them stand out. This is a simple and fairly obvious step, but it’s worth noting because not everyone does it. When I say line breaks, I don’t just mean adding a line between your paragraphs, I mean making sure that you separate your writing into easy to read chunks too. When I open up a tutorial and there’s no paragraph breaks, I close it immediately – that post could have exactly the information I need, I’m still too impatient to read it all. The advantage of using line breaks rather then paragraph indents, is that you provide the reader with space to rest their eyes between reading, which makes it easier to read. Small steps like this can make a big improvement to the structure and style of your blog posts. When you’re going to quote someone, make sure you use the quote function in wordpress or something similar. I often try to use quotes when writing about photography because it backs up what I’m saying and I want my readers to start to become familiar with the people making the quotes. It’s a powerful tool when used properly and it draws the readers attention in, while giving their eyes a chance to relax. I’ve stressed before in more than one post, the importance of using images in your posts. Not only does it help to break up the text, but the visual examples help people to learn a lot easier. As I run a photography blog, obviously it’s a lot easier for me, but you’ll notice in all my writing on this site that I still use loads of images, so there’s no real reason why you shouldn’t either. Instead of describing something with words, it’s much easier for you and your reader to just look at a diagram which explains it all for you. 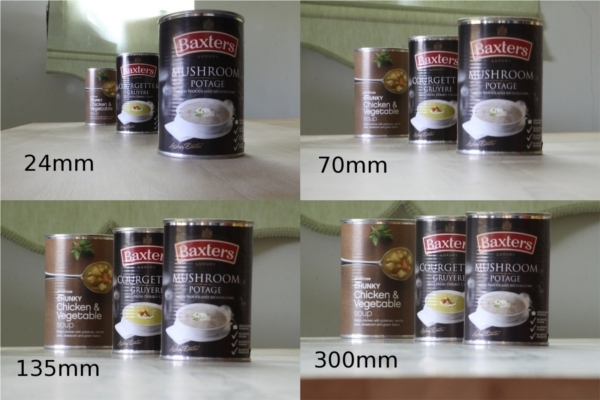 This is one of my most powerful diagrams demonstrating the perspective change of different focal lengths. This is what draws your reader in when they’re browsing on your website, so put some careful thought into it. You’ll notice on this site that all of the featured images are the same size, rotated to the left by a few degrees and have a dark fade around the edges. The whole process of finding the right image and editing it to how we like it takes about five minutes, and that’s time well spent. Choose an image that is relevant to what you’re writing about, and preferably not an overused stock image – personal images look a lot better as it counts towards more original content for yourself. Linking is an excellent way of improving time on site, pages per visit, exit rate, and bounce rate, and it’s surprisingly easy to do. The more you link, the more you provide your reader with relevant information which will help them and make you stand out from the crowd. This is perhaps my favorite WordPress plugin because it’s so simple that I barely have to do anything to it. You simply input the keyword and link you would like to assign it to, next to each other, and the plugin takes care of the rest. I have about 80 different keywords assigned to links at the moment, so whenever I write one of those words in a post, the plugin automatically links it to the relevant post without me having to do anything. This improves the amount of time that people spend on my site as they end up clicking on more pages. The more a person spend on your site, the sooner they’ll see that all of the links take them to different parts of the site and they’ll start to realize what a valuable resource the website is. These links differ to the sorts of terms that you may put into the SEO Smart Links plugins, as they link away from the site. 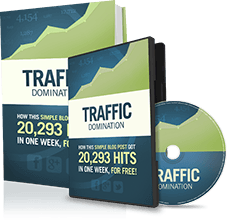 You may wonder why you would want to link people away from your website, but if you’ve ever written a top list of the best websites in your niche, then you’ll know that it still does your site a lot of good. I’ve had a few sites link to me in the past, even other photography blogs, and often it’s because I’m linking to them first and they notice. I use Twitter and Facebook to share links, but once in a while, I’ll also link to a relevant post in my own post. Other links you may be interested in are personal ones to your other websites, Facebook or Twitter in an effort to encourage readers to follow you more. I’ve actually written a whole blog post on Amazon Associates, as it’s a great way of putting a small amount of effort in to begin with, which will continue to make you money for years to come. 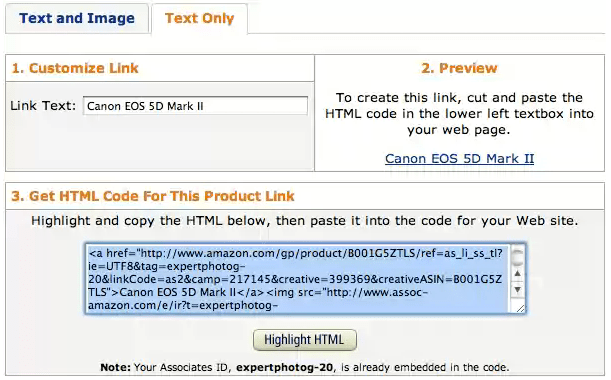 These links contain a custom HTML code from Amazon so that they can track where the visitor came from, and then if any of your visitors buy through your site on Amazon, then you start earning a commission. 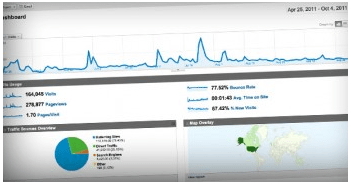 It will be small to begin with, but if you’re serious about bloging and your website begins to grow, you can start to earn some really noticeable income from it. My site is only five months old and I already make over $100 a month from it. Very well written article right here! I have to commend you on that one! 🙂 I firmly believe there has to be a structure there at the beginning before you write. I have to admit, that I thought you can just sit down and start writing an article just like that. Beginner mistake, such as I am! When on a topic not quite familiar, you can do a intense quick search on the net, save some sentences in a notepad, come back to your article to start planning first on what you just researched. First plan, then start writing. Using Images is key to your post’s success. So Don’t neglect that! Titles and introductions are the hardest part for me but I agree that the introduction is often ignored. If I do write some sort of an intro I try to include my best keywords and just keep it brief or at least say something that motivates the reader to continue reading. It’s always a pleasure to read what you choose to share, consistently proving to have been time well spent. You possess a keen perspective and the ability to express ideas clearly. Hey Josh, what a timely post! I am currently planning my intentions for 2012 and increasing my blogging activity is near the top of the list. Another great article post, Josh. You deserve far more comments for the amount of thoughtful effort you have put in. Could be a holiday thing, so the comments may start to flow in soon. Your high standard content is something too aspire to. For me the main rule is: Content is king. If you have a good and quality content you will get links to your blog, people will link you, which mean more traffic and more money for you guys. Josh, you mentioned, when using and image you rotated it to the left by a few degrees and have a dark fade around the edges. Do you use a certain program or piece of software to accomplish this? I think it does make a difference in your post.